Readers know from prior posts that Georgia is one of the "red-flag" states when it comes to non-compete disputes. Non-compete contracts entered into before the ratification of a constitutional amendment in 2011 are governed by the common law, and that body of law remains exceedingly treacherous for companies enforcing covenants. A recent Georgia appellate case illustrates why procedural choice of venue and choice of law rules are vitally important. The case of Carson v. Obor Holding Co., LLC yields a fairly common fact-pattern. Carson wore two hats for Obor Digital, a company that supplies staffing and software services in the defense industry. He was a member of the holding company (the defendant in the case) and an employee of the operating entity (not a defendant). He resigned in April of 2011, claiming "constructive discharge" by virtue of a reduction in his commissions. He then immediately filed suit in Georgia state court seeking an injunction against enforcement of the restrictive covenants contained in the Holding Company operating agreement. The trial court dismissed his case, finding a Florida choice-of-forum clause was valid. That contract also required application of Florida law. Florida, in direct contrast to Georgia, is an exceedingly friendly enforcement state. The Court of Appeals of Georgia reversed and held that the forum selection clause was invalid. It is important to note that courts won't invalidate forum selection clauses simply because one state's law (here, Georgia) is more favorable to employees than another state's (here, Florida). Rather, the difference has to implicate some fundamental public policy. (3) The non-compete covenant was invalid because it applied throughout the country and had no discernible territory limitation and because it had no activity scope tied to it. That is, it barred any affiliation with a competitor, not just some particular competitive conduct. Because of the fundamental difference in how Georgia and Florida courts view non-competes, the Court of Appeals found that the operating agreement covenants violated Georgia public policy and that a Florida court would enforce them (at least to some extent). 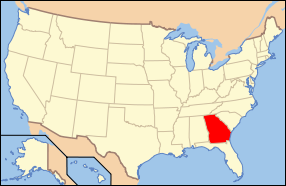 That means that, in Georgia, the choice-of-venue clause was invalid. A Georgia court had to hear the case and had to apply Georgia law. IIt must be nice to be a Georgia non-compete lawyer. No shortage of cases. And plenty of contract rewrites given the change in the law in 2011. Other states that will pose similar procedural problems like this are Wisconsin, Oklahoma, North Dakota, and California. States that are viewed as more employee-friendly may not have robust public policy considerations that require courts to override choice-of-forum and choice-of-law clauses.